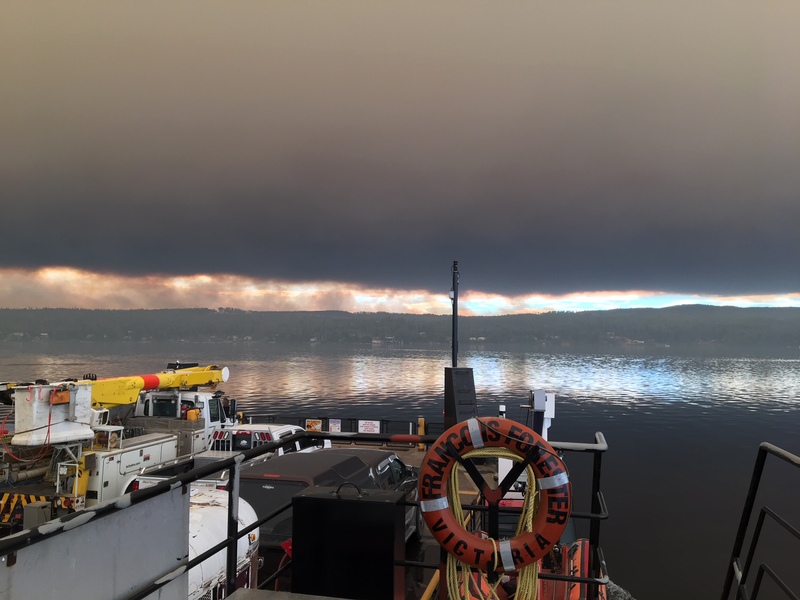 When a formation of wildfires threatened communities around Francois Lake in summer 2018, the MV Francois Forester ferry sailed into emergency service, becoming a 24/7 evacuation route, firefighter transport vessel and community information centre, for about six weeks. It was all hands on deck for the vessel, operated by WaterBridge Equipment Inc., under contract with the Ministry of Transportation and Infrastructure. 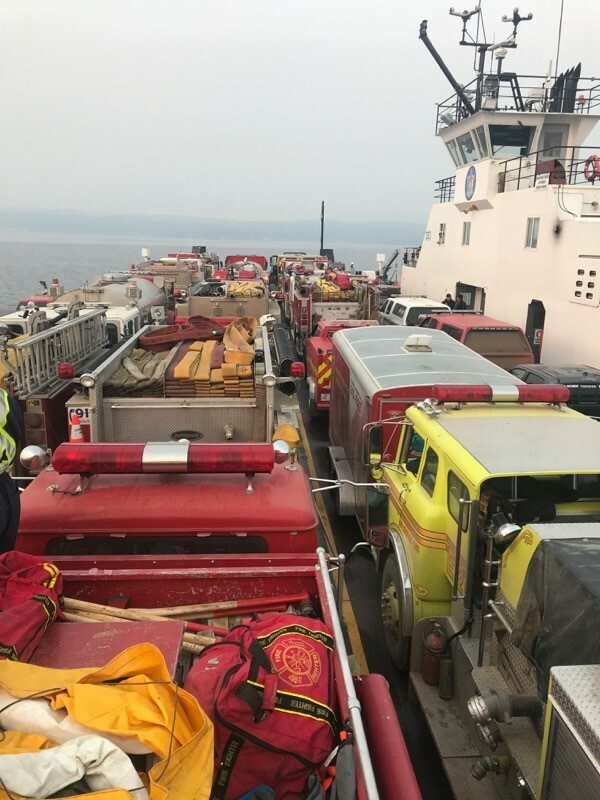 The ferry’s onshore property and facilities were also launched into wildfire duty, to provide a communications base for emergency responders, emergency equipment and personnel staging area, supply depot and even a garbage disposal location. 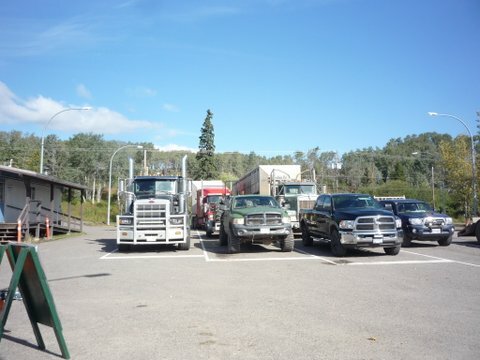 Things began heating up Aug. 2, for the ferry service that makes a 15-minute run across Francois Lake on Highway 35, about 26 kilometres south of Burns Lake. Wildfires were burning west and south of the lake. 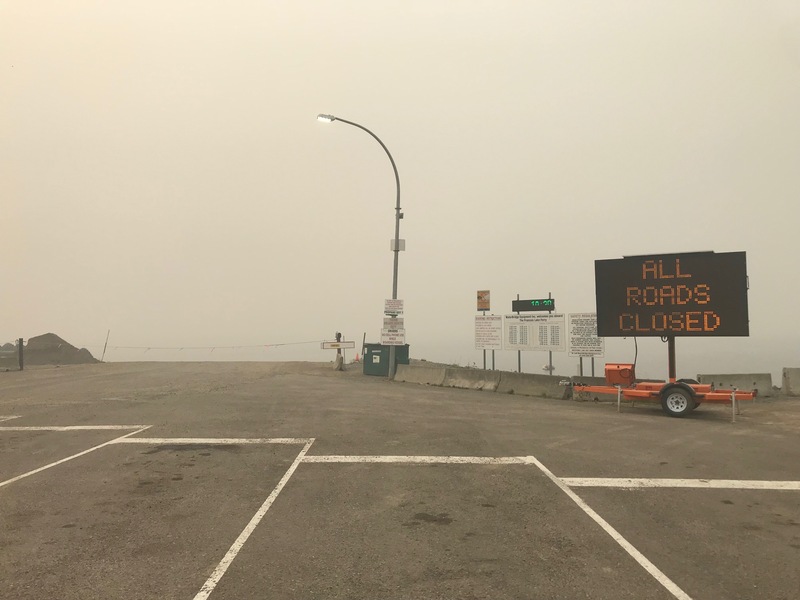 Evacuation alerts were issued by the Regional District of Bulkey-Nechako to communities south of the lake, which had become entirely reliant on the ferry. Ferry traffic increased, as people proactively moved their belongings, and in some cases their livestock transported in large trailers, from the south side of the lake to the north side. By Aug. 9, the wildfires had worsened and the Francois Forester began 24-hour service. Firefighters from Mexico, Australia, New Zealand and across Canada, were being called in. BC Wildfire Service officials placed a large map in the Francois Forester’s passenger salon to help residents keep up on where fire activity might affect their communities. On Aug. 12, managers were spelling off their staff as evacuation alerts and orders mounted and emergency personnel travelled throughout the night to get to the wildfire zone. Emergency vehicles around the province arrived to assist the firefighting crews. 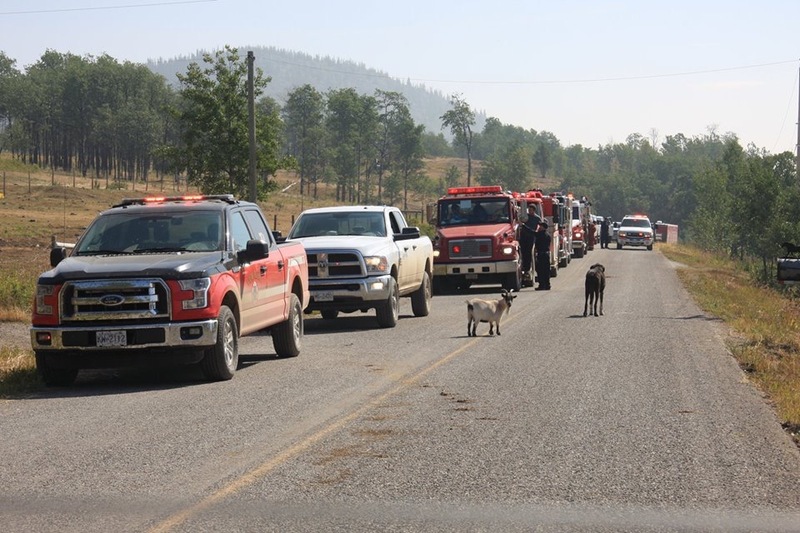 Firefighting crews working to protect the community of Ootsa Lake, observed by goats. Aug. 14 – Ash rained down on cars and smoke darkened the sky. By Aug. 14, the Francois Forester was shuttling across the lake with full loads from both terminals, as evacuation orders had been issued for the entire south side of Francois Lake. The latest bulletins were posted on the ferry for all to see, turning the vessel into a floating information centre. 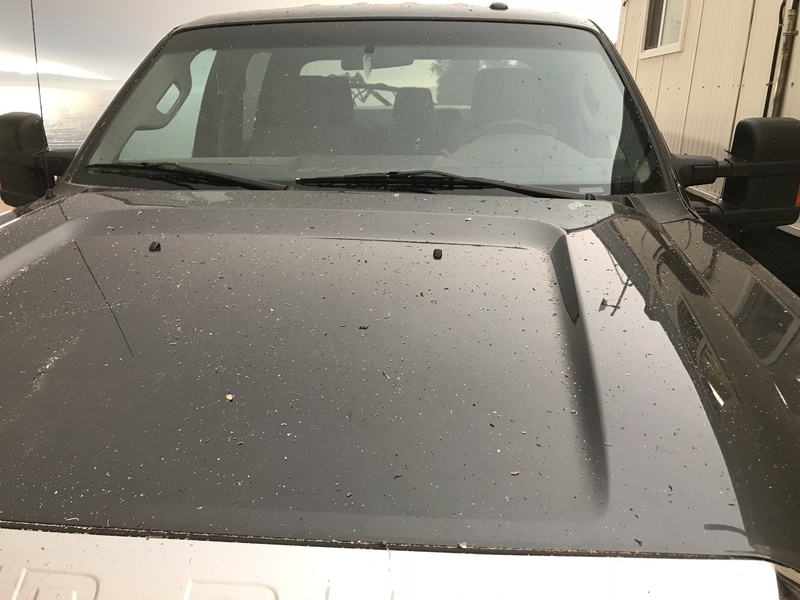 By 3 pm, it was almost completely dark from wildfire smoke, and ash rained down all around. Aug. 15 – Darkened skies and expanded evacuation alert and order for wildfiresOn Aug. 15, the Francois Lake Marine Office itself (on the north side) was put on evacuation alert, and a travel trailer was put on standby as an office to provide phone and internet services for emergency personnel. On Aug. 17, the vessel started to be used as a drop off location for food for firefighting crews. Three units from Alberta arrived, joining firefighters all over the world. The Francois Forester continued to run 24 hours a day, and due to the wildfire risk, the RCMP ordered that only firefighters and emergency responders or people with permits would be transported to the south side. One of our Commercial Vehicle Safety and Enforcement inspectors helped out in the north side parking lot to ensure only authorized people boarded the ferry. Ferry workers were acutely aware of how important the transportation link was to people living on the south side of the lake, as they put in extra time and worked flexible hours to ensure that the vessel was safely operated. It was an extra difficult situation for those who were residents of the south side. After their shifts, some crew members helped out by gathering livestock, fire proofing buildings or hauling supplies out to the firefighters. Aug. 20 – Firefighters relocating from the south side of the lake to north side. Aug. 23 – Fire was aggressive last night and jumped most of the fire lines. It looks like the Chestlatta and Verdun fires have merged or very close to it. Aug. 24 – Smoke is back. Wind from West all day. Have not heard of much fire growth in the last 24 hours. More equipment arriving every day. Aug. 25 – Light rain last night, but came with WSW winds and continuing to blow hard today. More equipment and supplies arriving daily. Moving lots of personnel in the early morning and late evening. Relief Center is set up just outside north terminal parking lot as a gathering spot to move supplies to south side. Aug. 26 – Steady westerly light wind. Cooler temperatures are really helping the firefighters. It seems that progress has been made in the last 24 hours to maintain fire breaks. Aug. 30 – Still no rain for Francois Lake and the SW wind does not want to quit. Light smoke in the air today. The State of Emergency has been extended until September 12, 2018. We have opened our dumpsters at both terminals for public use as they are not allowing garbage services anywhere else but to the terminals. The firefighters are leaving quite a few fire trucks at the south terminal to prevent overload trips; we are glad to accommodate them. Aug. 31 – North side of Francois had the evacuation orders and alerts removed yesterday afternoon. South side will be re-evaluated after this weekend storms are past. The RCMP road block at north terminal will not be removed until all evacuation orders on the south side are removed. Sept. 4 – The Regional District moved approximately 50% of the south side homes from Evacuation Order to Evacuation Alert and we’re expecting heavy traffic due to people returning to their homes. It has been and will continue to be an emotional roller coaster for some employees and community members due to areas of the fires that are still out of control. Fire took a couple of big runs on the weekend. One night it moved 18 km. We no longer have the police road block in the north terminal as the roadblocks have moved to the three areas still on Order. We are getting more equipment, firefighters and air support each day as other areas in the province are getting their fires under control. Hopefully there is an end in sight. Sept. 13 – This morning was minus 5, calm and clear, blue skies and no smoke in the air. Yesterday we had some snow flurries, kind of felt sorry for our Mexican firefighters who were working here. I bet this was the first time that they have ever fought fire in the snow. 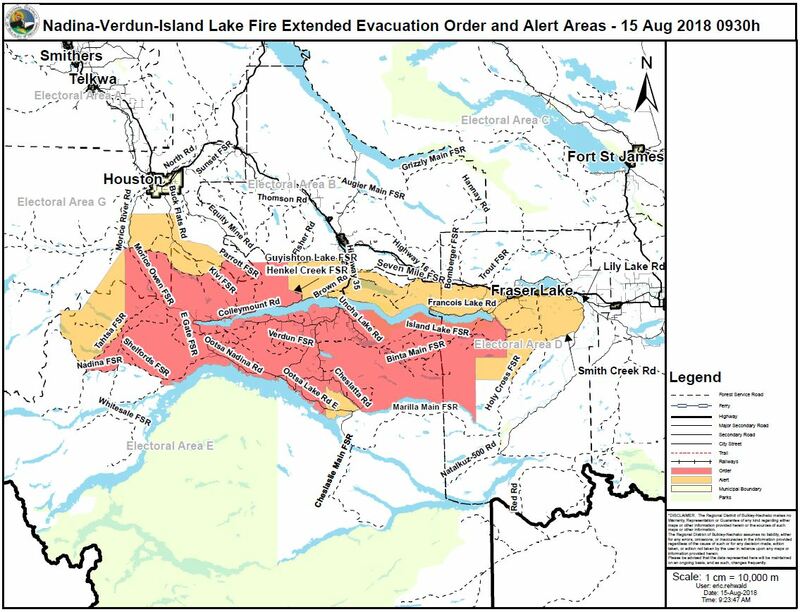 Late yesterday afternoon the last of the evacuation orders were removed for the Verdun, Nadina and Island wildfires. Our last two evacuated employees can now return to their homes. It is a miracle that so few homes were lost as well as no human causalities or serious injuries occurred during these events. It will be some time yet before hydro and phone is restored throughout the area, but there are large crews making good progress towards this. Blue skies – residents and their livestock headed for home. 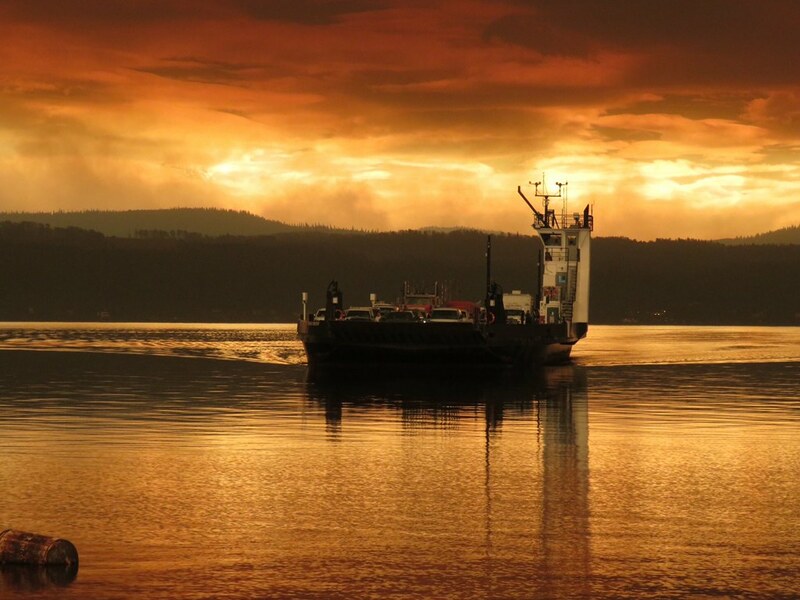 On Sept. 17, all evacuation orders and alerts were rescinded and the MV Francois Forester returned to its regular scheduled service. WaterBridge’s crew and managers had played a major role in helping stricken residents and a huge number of emergency responders deal with one of 2018’s most intensive, complex and prolonged interface wildfire areas. We wish all affected by the fires smooth sailing as they settle back into their lives, and homes. Thanks to WaterBridge’s Ron Van Tine and Mark Neave, for sharing their excellent reports from the wildfire emergency. Wow! I get emotional reading this story. I can only imagine what it must have been like for your community to live it! Indeed – very dramatic times for everyone involved! Great blog post! 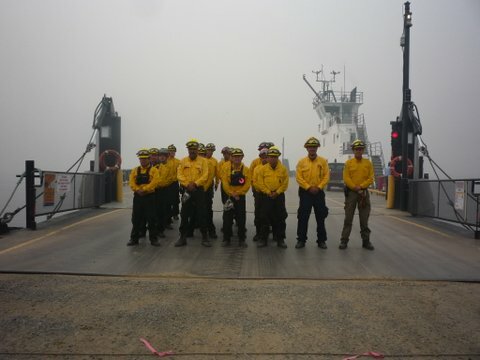 I was in Burns Lake helping out with this fire complex and had to take this ferry over. The folks operating the ferry were excellent – providing a service that was very much appreciated! Happy to hear that Ebony – thanks for sharing! We second this – thanks for your comment!